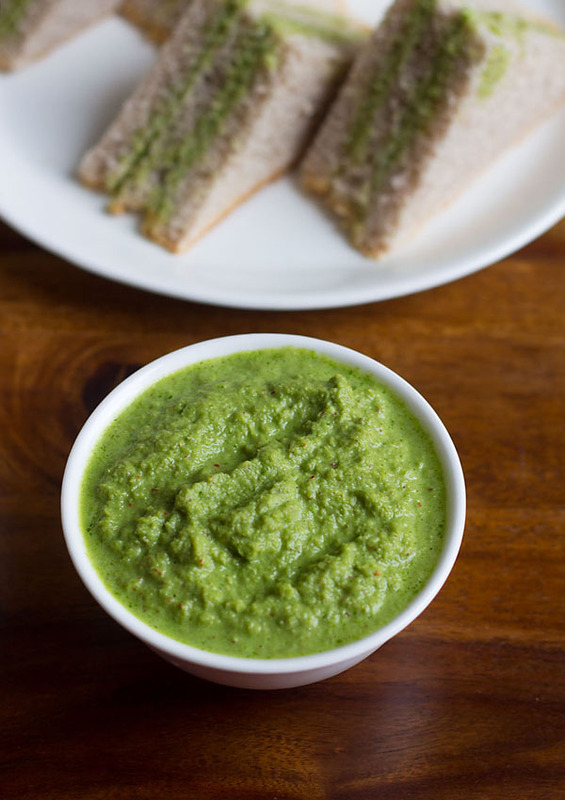 Green chutney sandwich recipe with step by step instructions. This is a famous goan green chutney made from fresh grated coconut, coriander leaves, sugar and green chilies. Best part is you could serve this chutney sandwich cold or warm. It tastes great even with toasted bread. sometimes we also add some sliced cucumber and tomatoes along the chutney. My hubby enjoys it with nachos and potato wafers too 😉 I like to eat them with pakoras and dosas too. The taste of the green chutney is spicy and sweet both. 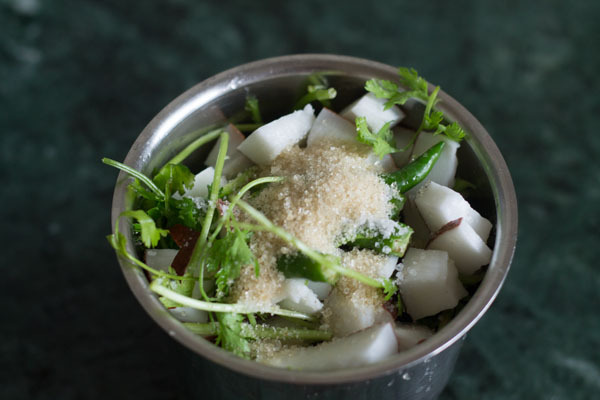 Spice coming from green chilies and sweet taste coming from fresh grated coconut and sugar. 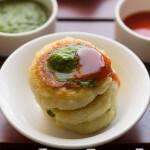 Recipe for green chutney is easy and quick, you could make them is advance and refrigerate. Chutney stays good up-to 3-4 days in the fridge. If you like chutney spicy then add more green chilies. But if you making for kids then just add 1 green chili. The consistency of this chutney is thick so it easily spreads on the bread slice. 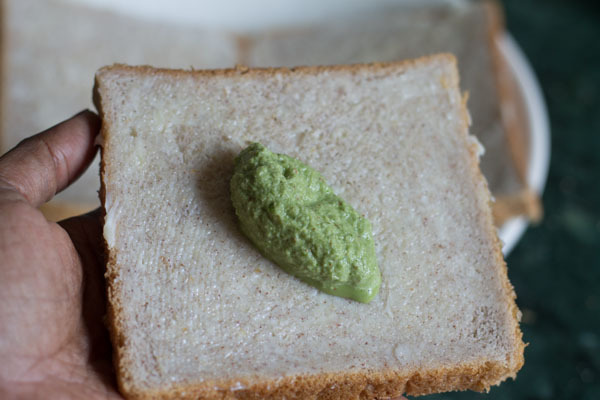 I apply some butter to the bread then apply green chutney. As this helps the sandwich not to become soggy but applying butter is optional. 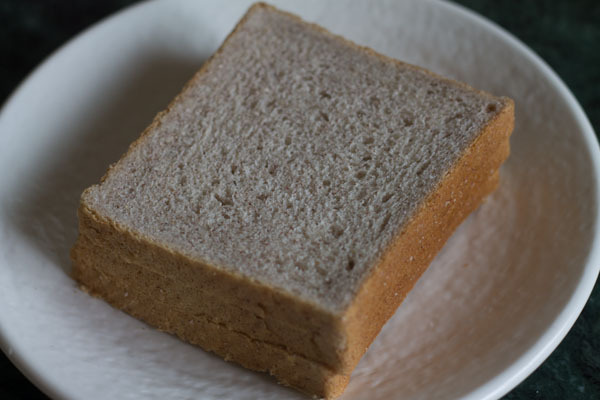 If you are gonna eat the sandwich soon then there is no need to apply butter. Just apply the green chutney and you are ready to eat. 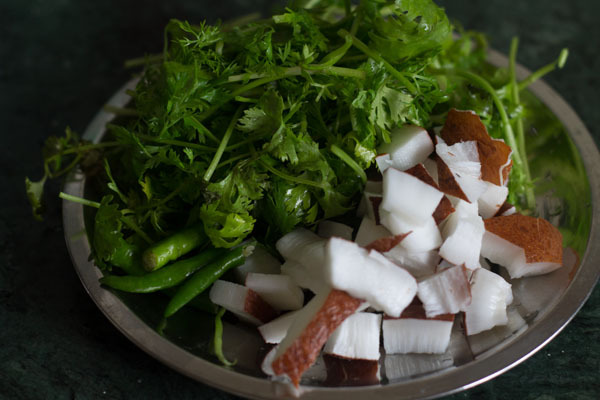 Keep all the ingredients ready for the green chutney sandwich recipe. 2. 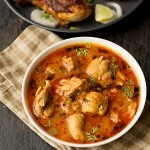 Combine a cup of coriander leaves, 1/2 cup of fresh grated coconut, 2-3 green chilies, 1 teaspoon sugar, 1/2 teaspoon of lime juiceif using and a pinch of salt. 3. Grind to a smooth paste, add 2-3 tablespoon of water but don’t add too much water. As we need nor too thick neither too thin chutney. The chutney has to be of medium consistency. 5. Apply butter on the bread. Applying butter is optional but this helps the bread not to get soggy. If you are having instantly then skip butter and spread chutney. 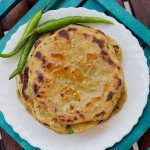 But if you are planning to eat them after few hours the its better to apply butter and the green chutney. 6. Add a spoonful of green chutney on the bread. 7. Spread the chutney all over the bread. 8. Similarly apply chutney on all breads. Stack the bread in 2-3 layers each. 9. Slice them into squares of triangular shape. 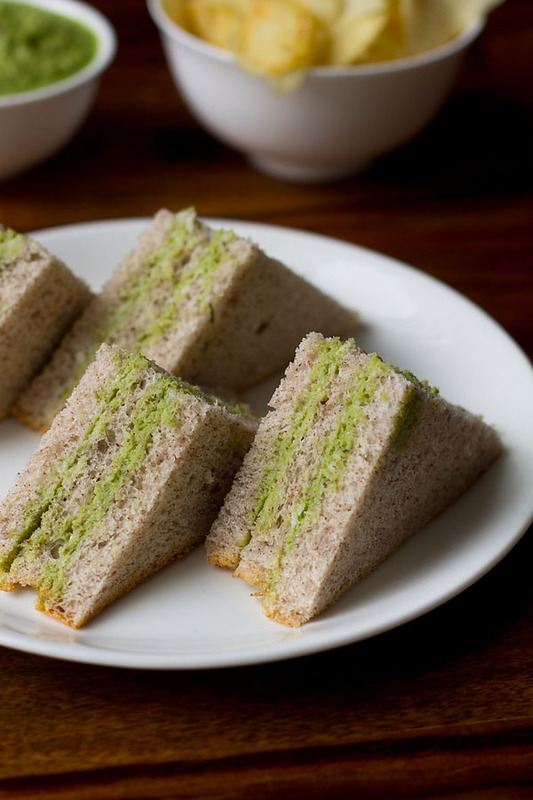 Serve green chutney sandwich with tea, coffee or juice. 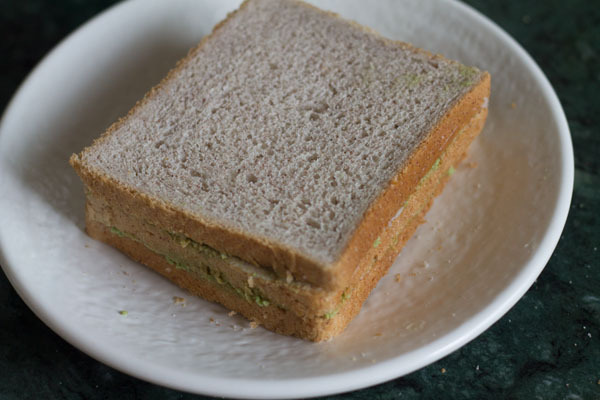 green chutney sandwich recipe with step by step photos. Combine a cup of coriander leaves, ½ cup of fresh grated coconut, 2-3 green chilies, 1 teaspoon sugar, ½ teaspoon lime juice and a pinch of salt. Grind to a smooth paste, add 2-3 tablespoon of water but don't add too much water. As we need nor too thick neither too thin chutney. The chutney has to be of medium consistency. Apply butter on the bread. 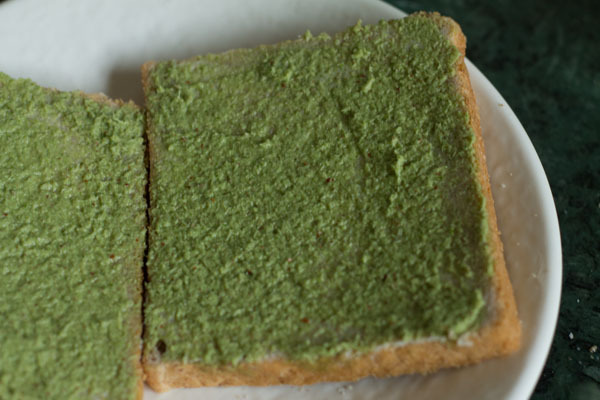 Add a spoonful of green chutney on the bread. Spread the chutney all over the bread.. Similarly apply chutney on all breads. Stack the bread in 2-3 layers each. Slice them into squares of triangular shape. 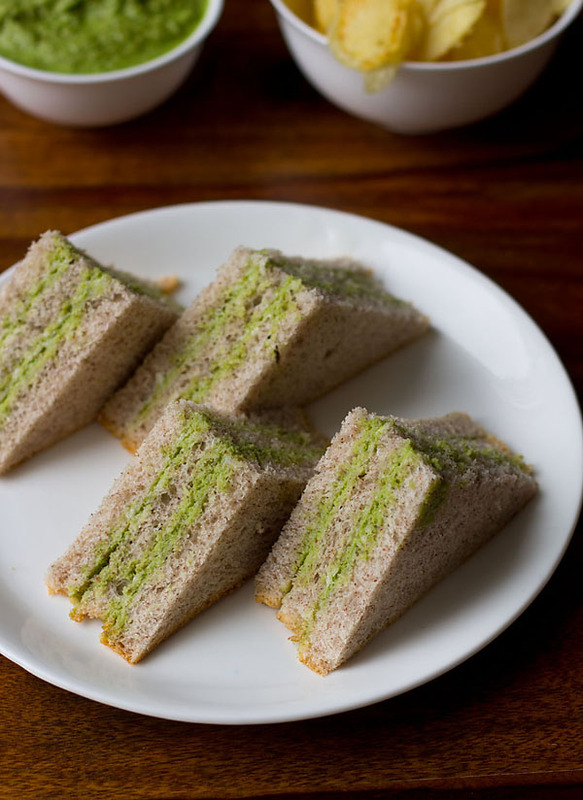 Serve green chutney sandwich with tea, coffee or juice. 1. You could add more green chilies if you like spicy chutney. But if making for kids then add less chilies. 2. The consistency has to be of medium consistency. So don't add too much water while grinding. 3. The chutney should stay good for 3-4 days in the fridge. 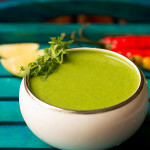 Quick and yummy recipe, color of chutney is awesome and mouth watering. 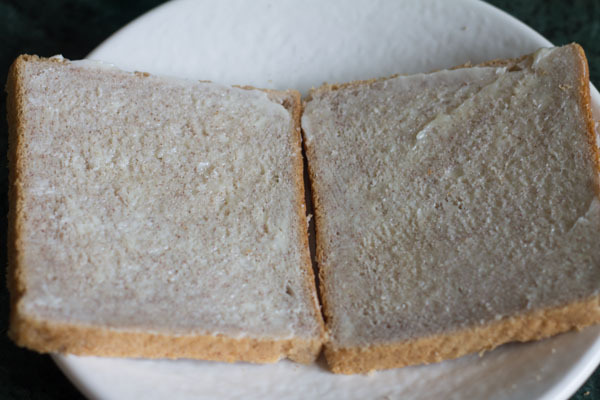 Welcome Olivia in goan sandwiches not much spices are used however if you wish you can use cumin seeds. 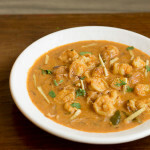 Adding ginger-garlic will change the taste of this chutney as this is sweet and spicy both. 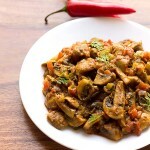 May be you can add few more green chilies if you like spicy. Hope this information helps you. I love green coconut chutney. So I cant wait to make this recipe. welcome and thanks, surely try and let us know how the chutney was?